· To inspire stronger family bonds, love and respect within families. · To increase the activity and involvement at Chabad of Old Tappan. 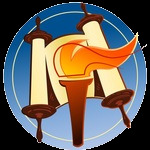 · For community members to increase in their performance of Mitzvot. · To raise the funds to support the work of Chabad OT on behalf of the Jewish Community. Committing to any person or path takes courage. Whatever we commit to, helps us grow and develop. Everyone is able to enjoy fleeting moments of pleasure but true happiness is earned by those who commit. Giving charity doesn’t just help others - it lifts you up as well. That's why it’s important to keep a charity box on display in our homes and offices and drop a few coins in the charity box at least once a day. No other mitzvah evokes as powerful a divine response as charity. It makes sense: you take care of others, and G‑d takes care of you. Our sages teach us that the merit of giving charity has the power to protect us from harm and prolong our life. As the sun goes down each Friday evening, the day for which we toiled the entire week is being ushered in. A day of rest and tranquility. The Holy Shabbat. Greeting the Shabbat (and the Jewish Holidays) are women and girls across the globe. Shortly before sunset they light candles, which usher in peace and blessing to their homes and to the world. An adaptation of the teachings of the Rebbe, Rabbi Menachem M. Schneerson authored by Rabbi Simon Jacobson, that convey a strong message of love, productivity, education, and virtue, all with the grace of a good and loving God. This is the type of spiritual wisdom that can be turned to again and again. Email info@chabadot.org with your name and address and let us know you would like to join this campaign.